SanTan Brewing Co.’s Mr. Pineapple. Photo by Peter Johnstone. This filtered, slightly hazy beer has a drier finish than one might expect from a beer with such a sweet aroma. Cut a fresh pineapple, let the chunks sit on a chopping block, and a general tropical sweetness fills the air—that’s this beer. The pineapple doesn’t overwhelm, either on the nose or the palate, but offers a nice complement to the bubble gum, banana and white pepper notes. 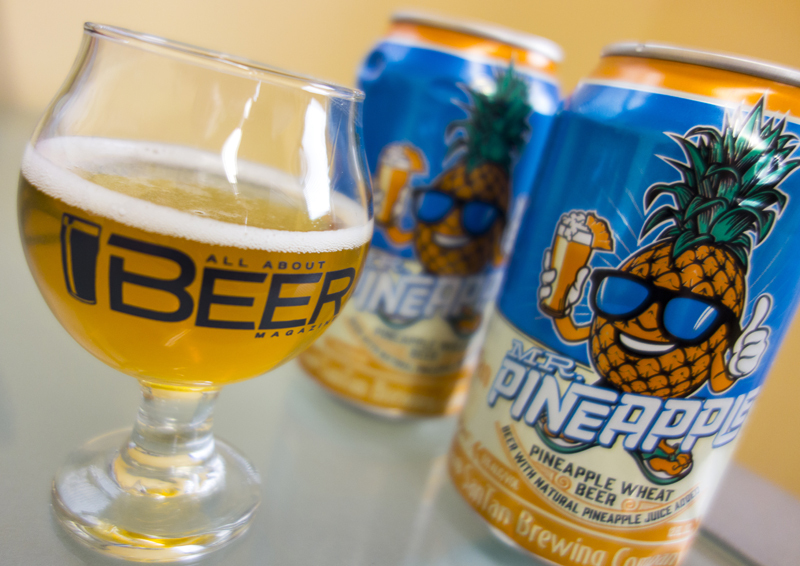 This is a well-made beer, and if you find yourself hanging around the pool in Arizona or maybe tailgating before Super Bowl XLIX, look for Mr. Pineapple. It was released in Arizona this week and is coming soon to Southern California and Texas.